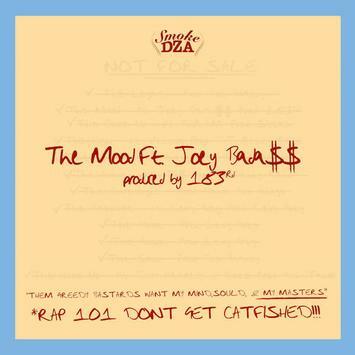 Harlem’s Smoke DZA is gearing up for the release of his brand new album, ‘Not For Sale’, in April and to prepare us for the project he has teamed up with the always dope Joey Bada$$ for the lead single, ‘The Mood’, produced by 183rd!!! Using The Orginal’s ‘Sunrise’ (the same sample as Scarface’s classic collaboration with Jay-Z & Beanie Sigel ‘Guess Who’s Back’) DZA and Joey drop nothing but gems for nearly 3 and a half minutes of just pure Hip-Hop!!! Based on this track DZA’s new album, and follow up to his 2016 collaboration with Pete Rock ‘Don’t Smoke Rock’, is going to be crazy!! !